There’s something about creepy films that makes me happy; not scary films like Halloween or Friday the Thirteenth, just creepy. I remember the first time I watched Corpse Bride at a close friend of mine’s house and I was completely blown away. Recently I was watching it again with one of my roommates and the only comment I heard from him the entire movie (which he said more than once) was “Logan, this is a weird movie.” Granted it is a weird movie. Maybe that’s why I love it and movies like it so much. When you talk about creepy films, one director in particular comes to mind: Tim Burton. Anyone who has ever seen “Edward Scissorhands” knows that Tim Burton’s films thrive on as much creepiness as one’s imagination can conjure up. A couple of years ago, after having seen Charlie and the Chocolate Factory and Alice in Wonderland, I decided I was going to try and see every Tim Burton film I could. Last summer I saw “Corpse Bride,” which completely blew my mind (and is still one of my favorite films to date), and I decided that Tim Burton has an innate gift for animated films. 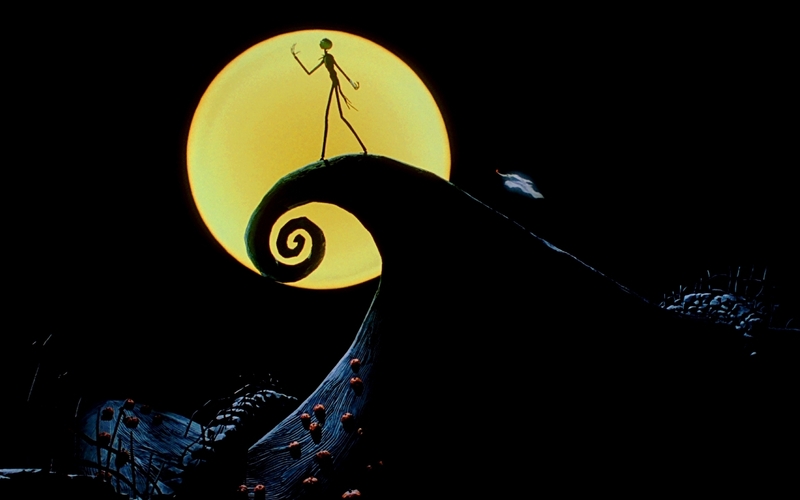 Still, I had not seen “The Nightmare before Christmas.” That seemed like it should be a crime, seeing as it was probably Tim Burton’s most popular animated film to date. A friend of mine gave me “The Nightmare before Christmas” on DVD to me for my 20th birthday. So I watched it. From the opening credits, I knew this was going to be a thoroughly enjoyable movie. It was made in stop-motion, which is done using mechanical puppets, taking pictures for every single frame. When you take that into account, you realize that this is truly a visually stunning film. The lighting in Halloween Town is a creepy sort of dusk that you would expect on the eve of a murder, yet the creative appearance of each of the characters makes the distinction from a serious and dreadful event to a fun Halloween night. Beyond all of the stunning visuals, though, the movie contains some really thought-provoking messages that have kept my head spinning since I watched it. First of all, “This is Halloween” is still running through my head, and I’m enjoying every minute of it. The catchy opening tune captures the spirit of Halloween Town: everything is about Halloween. When Halloween is over, they have a countdown to Halloween next year. Essentially, the citizens of Halloween Town consider their life’s purpose to be participating in Halloween. It is all they think about and all that crave and all that they look forward to. Before long, however, this beautifully perfect system gets upset. Things get turned upside down when Jack Skellington, the Pumpkin King, mayor of Halloween Town, stumbles into Christmas Town. This spurs “What’s This?”, another insanely catchy tune, which shows Jack wandering through Christmas Town, fascinated by everything that he sees. From the snow on the ground, to the decorating of the trees, to the presents under the tree, to the strange “Sandy Claws,” everything he sees is wonderful and fascinating. However, Jack is not content merely to observe the wonders of Christmas Town; he wants to bring it to his own town. Enter plot of the film. 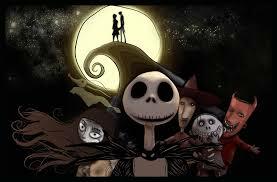 Jack comes back to Halloween Town and tells the entire town of his wonderful discovery. He shows them snow, a Christmas tree, a present, and announces that they are going to have Halloween. This sounds like a nice idea . . . at the time. The result, which comes when Jack tries to be “Sandy Claws” (which includes kidnapping the real “Sandy Claws,” as the kids of Halloween Town try to feed him to the Boogey Man) is disastrous. All of the presents that Jack and his minions have prepared are all horrifying and the citizens of Christmas Town deduce that there is an imposter posing as Santa Clause with these terrible gifts. The authorities find Jack flying in the sky with his skeleton reindeer and shoot him down. Jack, having fallen face-first into the snow, reflects on his miserable failure, and concludes that as he is the Pumpkin King, he must stick with what his forte is: Halloween. He goes back to Halloween Town, saves “Sandy Claws” from Oogie Boogie, and restores his town to its original and beautiful state: again obsessed with Halloween, as is natural for them. It really is quite a fantastic ending to a conflict that truly makes you cringe while watching the mistakes that Jack is making. While watching it, though, a thought occurred to me: Jack learns from his mistake by the end of the film, but I wonder what the other citizens of Halloween Town thought? They watched Jack trying to squeeze Christmas into Halloween Town like trying to plant a rose on Mars; what did they think? I know what I would have thought: “this guy is nuts.” It brought something to my attention though: it is very easy for me to sit back and criticize somebody else for an abysmal failure that was obviously doomed from the start. What about me though? This entry was posted in Movies and tagged halloween, jack and sally, jack skellington, List of The Nightmare Before Christmas characters, nightmare before christmas, tim burton.